An Instagrammer couple has been heavily criticized for documenting one of their travels with a dangerous photo. 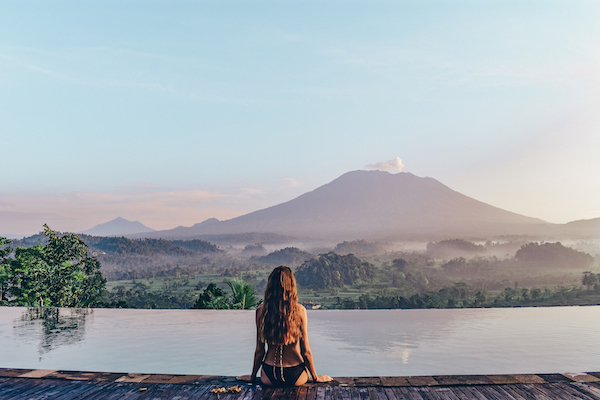 Kelly Castille and Kody Workman, collectively known as @Positravelty, shared the image of their vacation in Ubud, Bali, where Workman was seen holding Castille as she hung off the edge of a pool. The photo, which amassed over 20,000 likes, has since been flooded with comments by worried followers calling them “irresponsible.” One Instagram user, for instance, labeled the duo “stupid” for risking their lives for one post. However, the couple defended themselves by saying that they were confident to do the shot because of two reasons: should anyone fall, they would be supported by a pool that was cropped out for dramatization purposes; they had considered “angles and potentials” before taking the photo. This isn’t the first time bloggers have been criticized for taking dangerous photos. Recently, a Portuguese couple was called out for a risky image, where one of them had leaned out of a moving train.